We have had an excellent kick off day to Craft Lightning today and I am here for your day 1 Halloween quick craft features. A collection of quick and easy crafts from our blog friends for your super spooky craft inspiration. 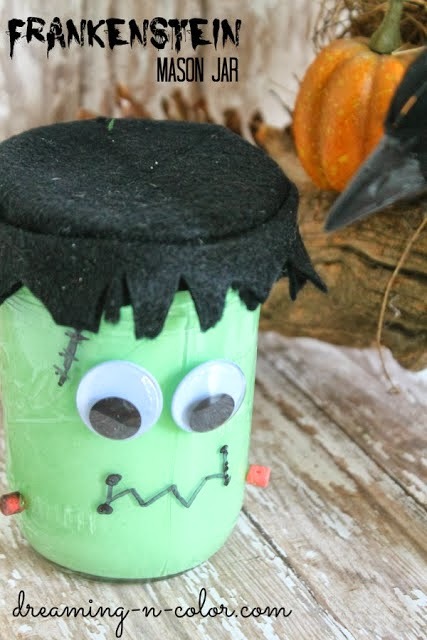 Y’all don’t forget to link up your Halloween quick crafts to our Craft Lightning linky party to see your crafts featured here this week. If you have missed any of the fun be sure to check out the features from day 2, day 3, day 4, and day 5. Starting off today we have four simple Halloween candy dishes from The Creative Mom that I am in love with. 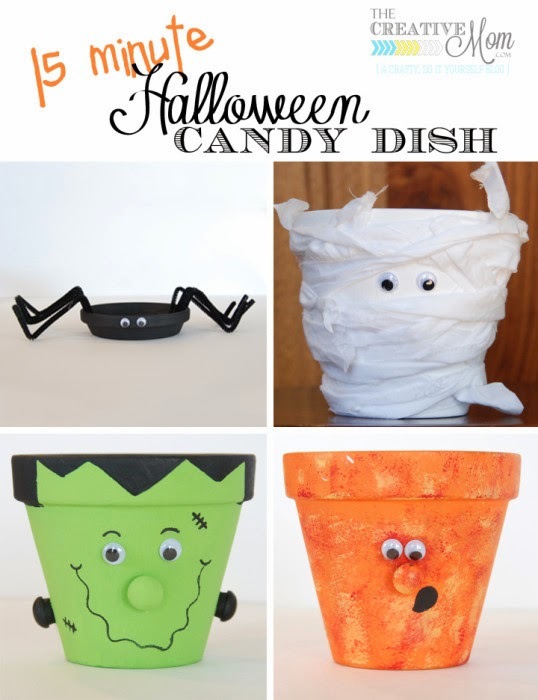 So creative and simple….perfect to show off your Halloween goodies. 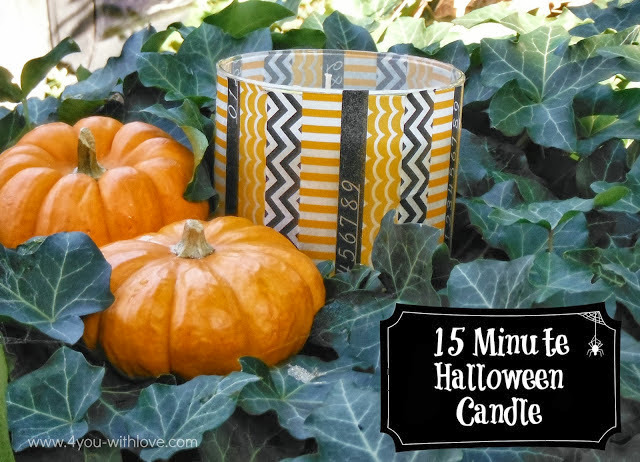 Use washi tape to make some super simple Halloween candles with this tutorial from 4 You with Love. I wish I would have snagged some of that washi tape from Pick Your Plum now! 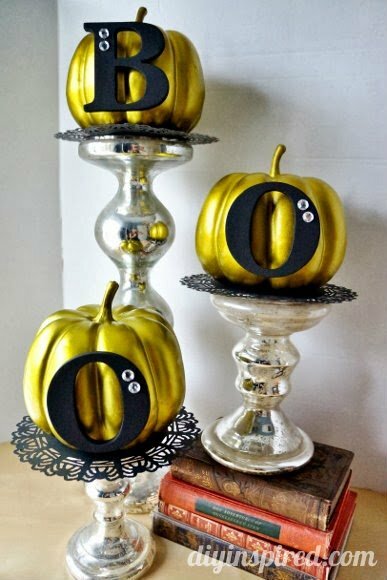 The gold and black colors on these cute pumpkins from DIY Inspired are enough to make any mantle or table shine. An elegant approach to Halloween decor that you could pull off in any home. Need a favor bag idea? Grab some paper bags, scrapbook paper, and buttons to make these favor bags from Laura Kelly. 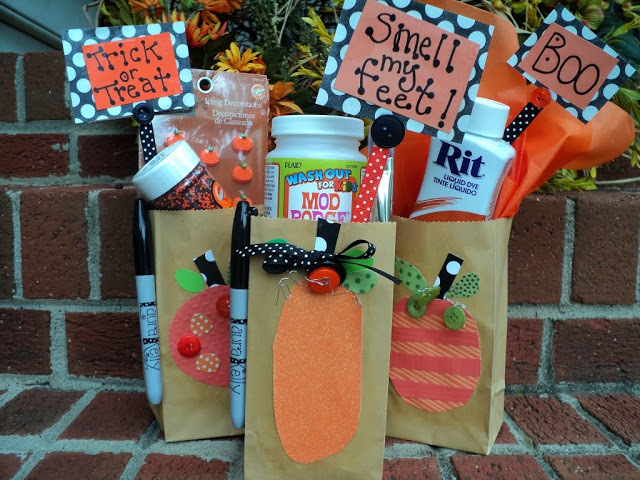 Trick or treat…smell my feet! Now for our linky party feature from today. Y’all already know I have a thing for mason jars right? Check out the three different quick mason jar crafts from Dreaming n Color. Will you make a mummy or Frankenstein? 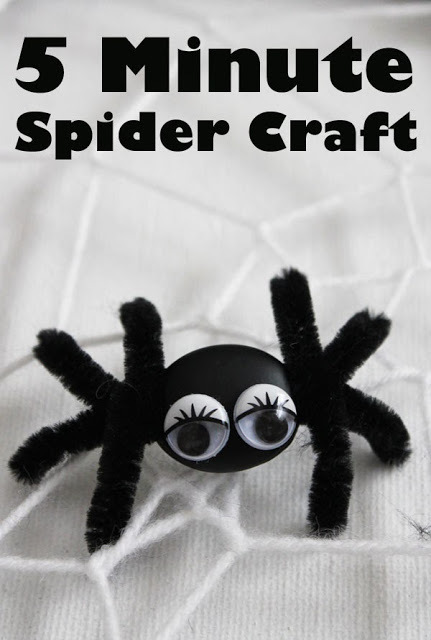 My partner for this series Carolina from 30 Minute Crafts made a great 5 minute spider craft. This one is perfect for the kids to make. Finally, if you missed my craft from this morning, I made some Halloween treat bags using Duck Tape and ziploc bags. 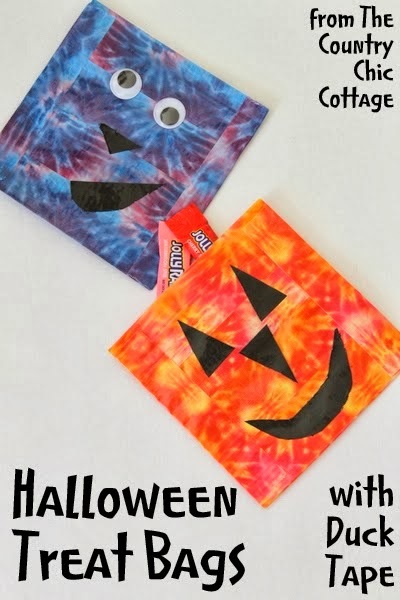 Quick, easy, and again perfect to get the kids crafting this Halloween. Stay tuned all week as we are just getting started with the quick craft fun. This week will knock your socks off!! We have tons of inspiration to get crafty this Halloween the quick and easy way. See these quick crafts plus many more from our Craft Lightning events on my quick and easy crafts Pinterest board. next post: Bradded Pumpkins — a 5 minute way to decorate pumpkins! Thanks for the feature Angie!